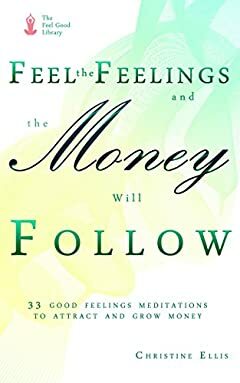 Feel the feelings you will feel when you have abundance and the money will come! This is not a "how to" money book though - not in the practical sense. It will not talk about savings accounts, IRAs, investments and other financial tools. What it will talk about feelings. More precisely, good feelings. How would you feel if you were financially secure? If you had plenty of money to live comfortably?Â You might say, for example, content, or excited,Â or safe. By focusing on and cultivating those feelings, you will start living the emotional life you willÂ live if you were financially happy. Right away! If you manage to maintain to transform this into your emotional set point, day in and day out, things will soonÂ start happening in your experience.